On a recent trip to the States to cover The Barclays, I stayed an extra few days to take in my favourite city in the world – New York. A night at the tennis at Flushing Meadows, a few hours spent shopping on Fifth Avenue in between gastronomic delights, there are so many ways to spend your time in the Big Apple! But let’s not forget golf, there is an abundance of great courses near the city and many more famous ones in close proximity. Some of the best layouts in the world are located on the fabulous stretch of land known as Long Island, with gorgeous coastal views. The likes of Shinnecock Hills, Sebonack, National Golf Links and Friars Head are on many golfers bucket lists, but they are also super exclusive, so getting a tee time is in itself a challenge. 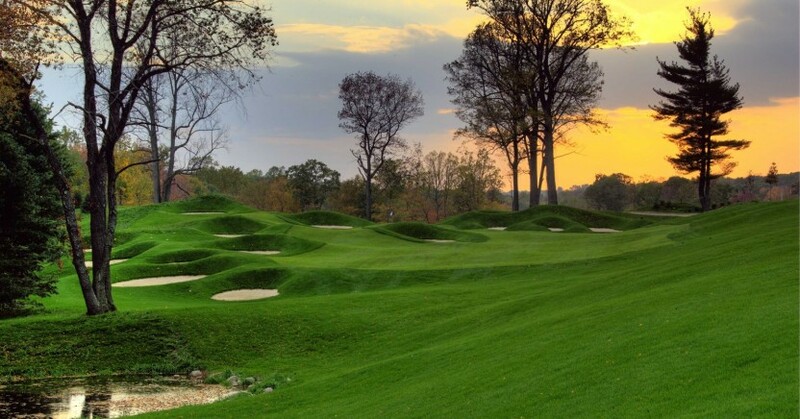 So here is my idea of the ten best public courses in the New York area that are well worth a visit should you find yourself at a loose end in the city that never sleeps. ‘Vannie,’ as the locals call it, claims to be America’s oldest public golf course, having opened in 1895. It may be old, but it’s not outdated. Stephen Kay enhanced Tom Bendelow’s original design in 2001. Van Cortlandt features two intimidating par fives, measuring 625 and 605 yards respectively, among the longest holes in New York City. The corner of 86th Street and 7th Avenue may sound like a line out of Goodfellas, but this address is home to Dyker Beach Golf Club. 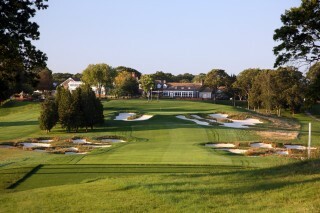 Designed by Tom Bendelow in 1897, Dyker Beach’s tight fairways are its real defence. Don’t be fooled by the spectacular terrain and views of the Spruce Run Reservoir. High Bridge Hills is a true Mark Mungeam links layout, which requires golfers to bring their A games. There’s no shortage of elevation changes, the most prominent of which is on the par-3 8th hole, where there’s a tee-to-green drop of nearly 100 feet over a natural gorge. Considered the gold standard of golf in the five boroughs, La Tourette’s open fairways appear as warm and inviting as a slice of New York pizza. However, the real challenge of this busy 6,692-yard layout is found on the greens, which are small and elusive. The atmospheric clubhouse is a restored historic manor house. Roughly an hour from New York City, but ask anyone who’s played here and they’ll tell you it’s a can’t miss. 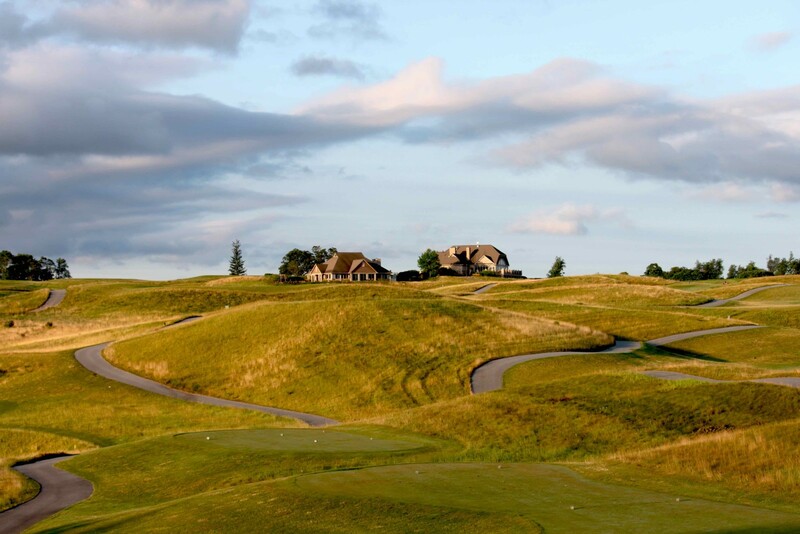 This Irish-style links course has received numerous accolades, including being ranked among the top 50 public courses in America by the US publication Golf World. For those who head to Bethpage looking to do battle with the Black Course but can’t get a tee time, there’s good news, the Red Course is much better value and just as entertaining. It’s certainly doesn’t lack for challenges (particularly with its lengthy and treacherous back nine), but the obstacles are more beatable than those found on the Black. The conditions are pristine, the fairways and greens manicured, and the 7,104-yard layout is fun, memorable and imaginative. With doglegs dragging you right and left, you’ll need a fade and a draw in your bag – and you’ll need your driving boots on, especially at the first, a brutal 492-yard uphill par four. Architect A.W. Tillinghurst doesn’t let up over the next seven holes either, before delivering his knockout punch on the ninth, a par four measuring 466 yards and ranked the toughest hole on the course. Hudson Hills is the best public course in Westchester – although it is managed privately by Billy Casper Golf, hence the steeper green fee. Leaving your driver in the bag might be difficult considering this par-71 layout stretches out to roughly 7,000 yards from the tips, but with water in play on more than 70% of the holes, and several blind tees shot to contend with, accuracy over distance is required to score well. The course leaves its mark with a picturesque trio of closing holes. From the elevated tee box at 16, a short downhill par four, you get a stunning panoramic view of the course, with the hills and forest in the background, while the finishing hole is a gorgeous, straightaway par four, featuring a tight fairway squeezed in by bunkers. To your left are beautiful mountains, while the clubhouse sits directly ahead. The scorecard of this Tom Winton design may not strike fear into the hearts of golfers, but the drastic elevation changes make this one of the toughest 18 holes in Westchester County. Get used to playing side hill lies or you could be in for a frustrating day. As the host of two US Opens (2002 and 2009), Bethpage Black is one of the most well known public golf courses in the world. Golfers are willing to camp out overnight in the car park to get a tee time, and it’s not hard to see why. The sign at the gate says it all, ‘The Black Course is an extremely difficult course which we recommend only for highly skilled golfers.’ Needless to say, the Black is an experience like no other, with a succession of mind-boggling long holes (it measures 7,366 yards from the back tees and involves eight miles of walking), knee-length rough, and huge raised greens protected on all sides by vast, dazzling white sand-filled bunkers. It’s always presented in US Open-ready condition and although rounds can take six hours at busy weekends, it’s time well spent immersing yourself in the whole Bethpage experience. Accuracy is at a premium here, with players needing to navigate rocks, boulders and the occasional wetland at this Pete Dye design. The famous holes are the par-5 13th, home to ‘Pete’s Rock,’ where a giant boulder rests in the middle of the fairway; and the par-3 15th, dubbed ‘Headstone,’ flanked on the right by a large rock, which protrudes into the elongated, 9,000-square-foot green. One of America’s best public courses, never mind just on the East Coast.